21st Century Renters: What Do They Want? 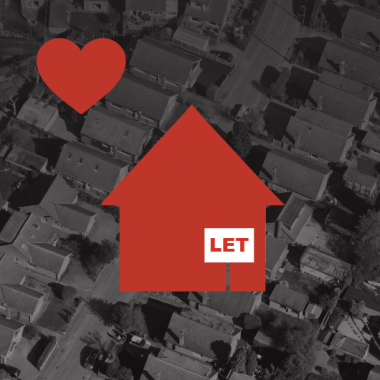 “With renting remaining a firm choice for many, it can be beneficial for landlords to contemplate who they wish to attract to their rental properties. instant feeling of ‘this is the one’. If you are planning on letting to those looking for a modern lifestyle, consider searching for open plan properties. Having a large open area will appeal to a range of people, whether they want to use the entire space as a lounge, or split the room to also have a dining area. If you decide to furnish the property, we find that a corner sofa can work as a great divider. We suggest keeping the décor neutral, as a blank canvas allows others to add their own personality to the property. A minimalist layout will also help to accentuate the available space. This one applies to features both inside and out. Within the property, consider how many bathrooms will suffice. For example, if you invest in a three-bedroom house, it would be beneficial for it to have at least one bathroom and an en-suite. If you do go down this route, having a shower bath in the main bathroom and a walk-in shower in the en-suite will cover all bases, when it comes to preferences. We also mentioned before about furnishing the property. You can choose to leave it bare, semi-furnished or fully furnished. Whatever you decide to do, try to keep it contemporary. For example, if you decide to include a television, it doesn’t need to be top of the range, but having one with smart features could boost the overall modern feel of the place, which might sway a renter torn between two choices. Lighting can make a difference to first impressions, so put some thought into the placement of some sleek lamps that go with the décor. A washer/dryer will be useful to those living a busy lifestyle. If there is also a garden, an outdoors clothesline is a great addition. A handy option during the damper months is an inside retractable clothesline, operated by a pulley system, which will help to save on space when it’s not in use. Expanding your view to the surrounding area, you will also want to take into account local transport options. We believe that regular buses, nearby train stations and access to main roads are all worth considering. Having shops within walking distance will appeal to many, especially those who like to restock as and when they need an item, rather than doing a big shop every once in a while. In this day and age, going to the gym is a must, both for maintaining a healthy lifestyle and for social recreation. If there is one nearby to a property you have invested in, make sure to highlight this when advertising! It would also help to point out any other nearby fun facilities, such as cinemas, restaurants, and show venues. Those with busy lifestyles will be on the lookout for low maintenance accommodation. Having a simple and easy to clean living environment will make a difference to such people. If you intend to provide a cooker, glass top stoves are sleek, modern and easy to keep clean! To encourage tenants to keep the place tidy, you could also provide a vacuum cleaner. Remember, by keeping a strict inventory and performing periodic inspections, you will be able to ensure that all furnishings remain intact and accounted for. This is another important factor to think about when investing in property. By starting off with a modestly sized building, with room for expansion, you could end up increasing your income from the investment.